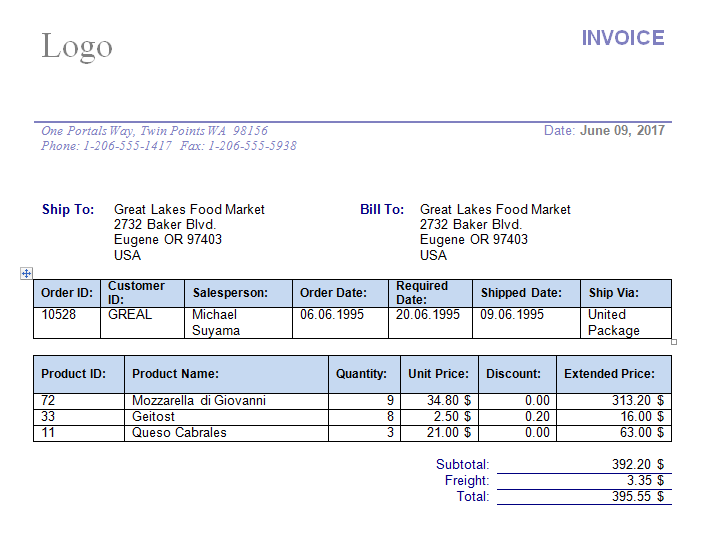 This example shows output from two queries, executed in application, to the report result file. 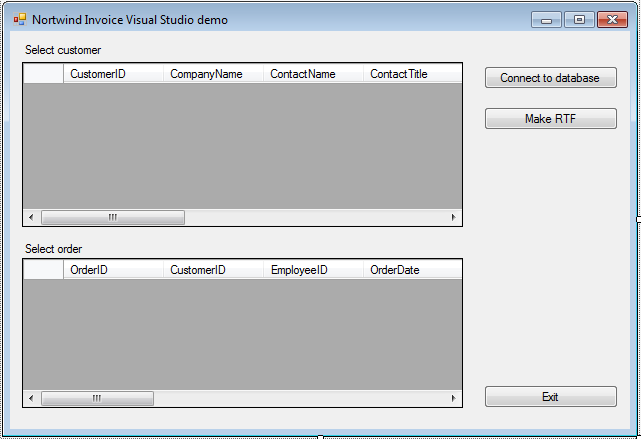 There is one button to open the database, and another to create the report. 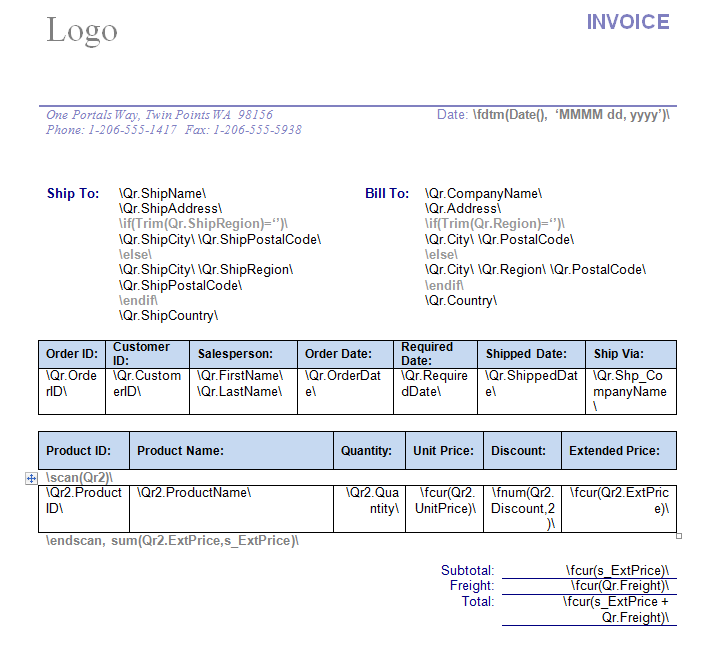 The form also contains data access components to display customers and orders. The report template contains Scan-EndScan blocks, field names, If-Else-EndIf blocks. ekRtf1.ReportData.Add(reader, "Qr"); //Attach reader to the report with alias "Qr"
ekRtf1.ReportData.Add(reader2, "Qr2"); //Attach reader2 to the report with alias "Qr2"